Youth Kayak With Paddle Just $79.20! Down From $149! PLUS FREE Shipping! You are here: Home / Great Deals / Amazon Deals / Youth Kayak With Paddle Just $79.20! Down From $149! PLUS FREE Shipping! For Amazon Prime Members Only! Your kids would surely enjoy this awesome deal! Head over to Amazon where you can score this Youth Kayak With Paddle for just $79.20 down from $149 PLUS FREE shipping! Introduce your kids to the wonderful world of water sports with the Lifetime 6 ft Jr. Wave Kayak. This little kayak is designed for superior stability on the water–practically impossible to tip over! Smooth one piece blow-molded plastic construction has no protruding hardware and innovative built-in features like footrests and a paddle cradle for easy functionality. The Kids Jr. 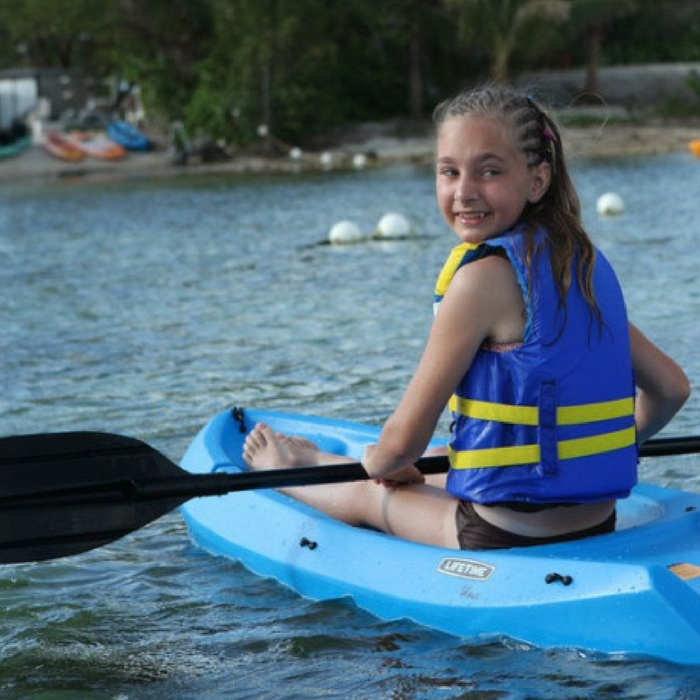 Wave Kayak provides big fun for your little one!